Fianna Fáil has hit back at the government’s new property tax proposals, branding them “unfair”. The opposition party has accused the government of ignoring “a fundamental canon of taxation law” in its proposals for the property tax. 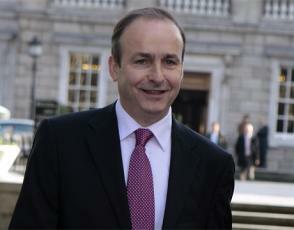 Fianna Fáil leader Micheál Martin said “ability to pay” was an essential element for the implementation of property tax but pointed out that over half a million people had mortgages. Taoiseach Enda Kenny said it was Mr Martin’s party who had originally signed on for the property tax. Explaining the basis for the tax, Mr Kenny said it aimed to broaden the tax base. He pointed out that local authorities had found an “easy way to increase rates” on commercial premises. He said most of the tax would be used for services in the area where it was paid.